Stylage XL is an effective dermal filler that is intended to correct and restore facial volume deficiencies. This injectable for the face rectifies the look of deep facial wrinkles using its special volume-boosting abilities. Use this transforming skin filler to augment the cheeks, contour facial features, treat facial lipodystrophy, or help patients with minor ptoses. Additionally, this formula can be used to repair and refresh the look of wrinkled hands, giving your patients an overall air of radiance. Doctors continually opt for this filler to provide their patients with intense volumization. When injected into the skin, the cross-linked hyaluronic acid attaches itself to water and expands, providing moisture and volume at the same time. When volume is restored, lines and wrinkles appear less noticeable, facial hollows are less caved in, and skin’s sagginess is reduced as elasticity is improved. With its unique formula, this dermal filler can also be used to reshape less defined or disproportional facial features. The results are long-lasting and worthwhile for mature patients that wish to defy the aging process and achieve the look of youth. Stylage is manufactured by a French company known as Laboratories VIVACY, which specializes in the creation of anti-aging injectables. When can Stylage XL cause side effects? Unless your patients have a history of sensitivity to hyaluronic acid, a skin test is not needed prior to this procedure. However, even as a hypoallergenic dermal filler, mild side effects are still common. These may include erythema (redness), pain, swelling, itching, and discoloration—all of which may appear differently depending on the patient. The inclusion of mannitol will help to reduce inflammation, as it is a natural antioxidant. Refer to the product leaflet for more information about possible side effects, precautions, and contraindications. Which skin type is Stylage XL good for? 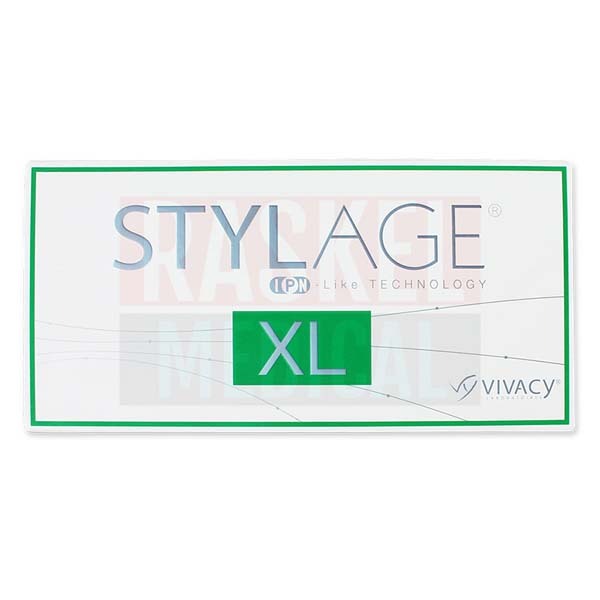 Stylage XL is ideal for patients looking for extreme revolumization, as this particular formula is crafted with a stronger hyaluronate potency and viscosity. This means that the solution is denser than others, allowing it to deeply penetrate and remain within the skin’s connective tissue. What is Stylage XL made without? This hyaluronic acid is sourced from bacteria, not animals. As a clear and transparent solution, this dermal filler is free of synthetic fragrances and colours. Each tube, container, pre-filled syringe, and needle is for single-use only, and should be disposed immediately following any procedure. This cosmetic filler has been tested as a suitable alternative to plastic surgery for the restoration of volume loss. Only trained medical professionals should handle this treatment. 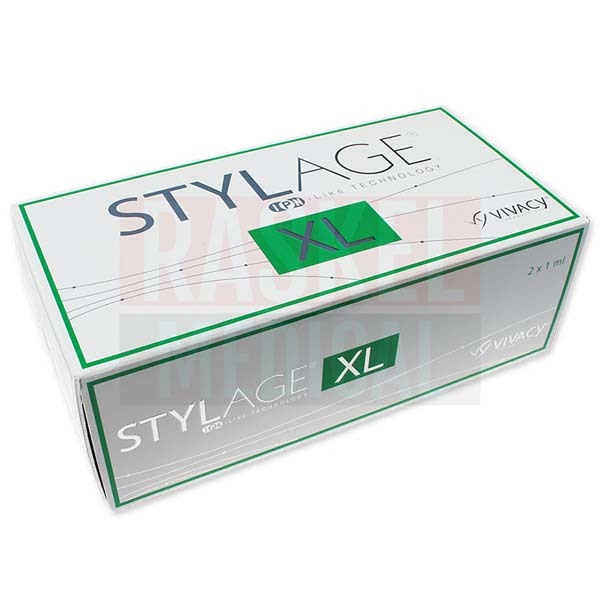 What is the difference between Stylage XL, Stylage XL with Lidocaine, and Stylage Special Lips? Each injectable in the Stylage line is used for anti-aging purposes. 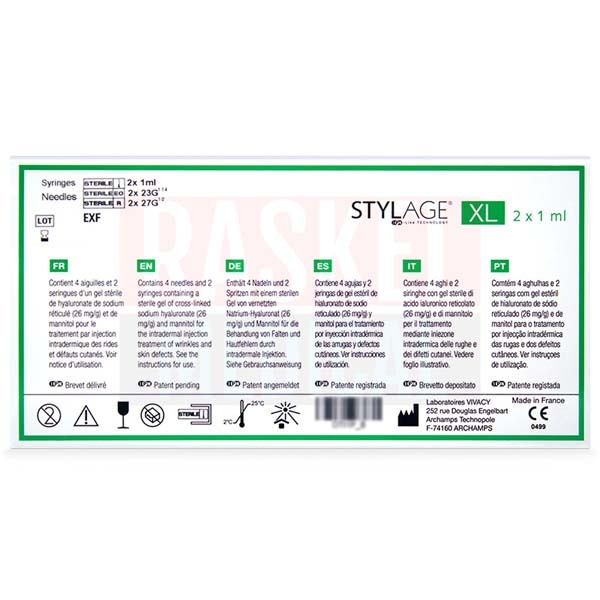 Stylage XL provides volume, while its sister product Stylage XL with Lidocaine provides the same amount of volume with the added benefit of a built-in anesthetic for sensitive skin types. Both dermal fillers can be used on the face and hands. Comparatively, Stylage Special Lips is primarily a lip filler, and is used to perform lip augmentation on both younger and older patients. Thoroughly clean and disinfect the injection site. Apply a topical numbing agent if required by your patient. Refer to the product leaflet for detailed instructions on how to attach your single-use, pre-filled syringe to 1 of the sterile needles. 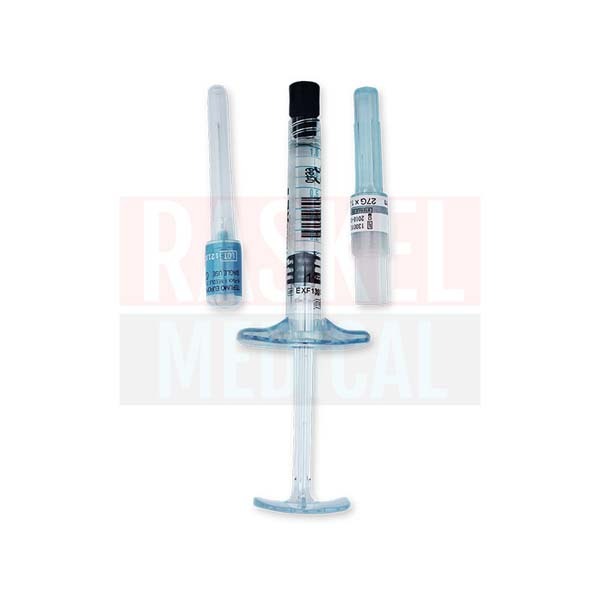 When attached, determine whether the release of air bubbles is needed in order to proceed with the injection. For facial restoration or augmentation, inject the needle by deep or sub-cutaneous injection. When injecting into the back of the hands, use sub-cutaneous injection. Gently massage the filler into the desired shape. Immediately dispose of used and unused materials and equipment as per protocol. This volume booster is made with sodium hyaluronate (26mg/g), a phosphate buffer (pH 7.2), and mannitol. Unlike most facial fillers, Stylage XL has long-lasting potential. In fact, your patients will experience youthful volume and a smoother-looking complexion for 1 year or more with 1 session of this treatment. This means that your patients won’t have to worry about a strict maintenance regimen in order to see results. To reach its shelf life, be sure to store this fragile filler in an area that remains between 2 and 25 degrees Celsius. Avoid moist, cold, or warm environments that have a potential to disrupt the medicine’s effectiveness. This dermal filler will last 2 years on the shelf when stored properly. RaskelMedical.com only supplies doctors and other licensed medical professionals with authentic cosmetic and medical injectables at competitive prices. To order this dermal filler, create an account on our website to begin your registration process. Then, once your account is enabled, you can purchase Stylage XL online, or call 1 of our customer service representatives to process your order for you. Want to learn more about exclusive discounts and loyalty programs that help you save and earn? Send us a request to chat at RaskelMedical.com.